DUQUESNE, Pa. – May 16, 2017 – Bedding manufacturer American Textile Co. today announced a series of new hires and promotions to support its growing operations and expanding brand portfolio. The personnel moves include the appointment of Mark Milani to vice president of Manufacturing and Distribution, the promotion of Chris Donelan to AmeriFill Division director and the additions of Harrison King as vice president of Quality Control, and Todd Rankin as director of Marketing for the AllerEase brand. “In concert with significant investment in our manufacturing operations, we’re investing in our people and our commitment as an employer in the Pittsburgh community,” said Lance Ruttenberg, president, and CEO of American Textile Co. In his new role, Milani will oversee a new facility in Tifton, Ga. along with four other American Textile Co. locations across North America. He joined American Textile Co. in 2012 and previously held the role of vice president of Quality and Engineering. Milani has more than 25 years of experience in leadership, direction, and management of industrial engineering, quality systems, and manufacturing operations. He earned a Lean Systems Certification from the University of Kentucky and is an alumni of the University of Pittsburgh Swanson School of Industrial Engineering. Donelan takes on the role of director for American Textile Co.’s AmeriFill Division, which produces white label and licensed pillows and bedding in the home textile, pet, and healthcare markets. 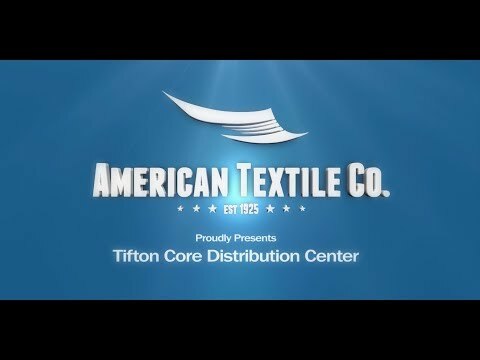 Donelan has been with American Textile Co. since 2009, and with the AmeriFill Division from its inception in 2012. Previously, he held roles in pricing, sales forecasting, and product commercialization. He earned a Bachelor of Science in Economics from Carnegie Mellon University. Harrison King, who joins American Textile Co. from Hollander Sleep Products, takes on the role of vice president of Quality Control. He previously held the role of vice president of Manufacturing at Hollander Sleep Products where he was responsible for five manufacturing facilities. Prior to Hollander, he worked in a variety of operations management roles with Blistex, Avon, and Proctor and Gamble. Harrison earned a Bachelor of Science in Electrical Engineering from Tuskegee University and a Masters of Business Administration from the Keller Graduate School of Management. Todd Rankin joins American Textile Co. to lead marketing for the powerhouse brand AllerEase. Prior to this role, Rankin spent over 20 years with GlaxoSmithKline in various leadership roles within sales, marketing, business development, and category management. Todd earned his Bachelor of Business Administration in Accounting from Ohio University. These additions come on the heels of continuous growth for American Textile Co. In March, the company announced a licensing deal that will allow it to develop and distribute Tempur-Pedic branded sleep products featuring Tempur-Pedic’s signature adaptive features. The product line will include sheets, mattress pads and protectors, blankets, and comforters manufactured by American Textile Co. The company now employs more than 1,100 people worldwide including more than 300 in the Pittsburgh region.